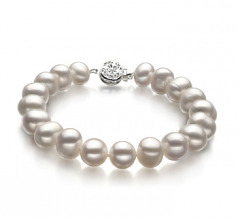 When class and sophistication count, the White Freshwater Pearl Bracelet is a natural choice for one to make. 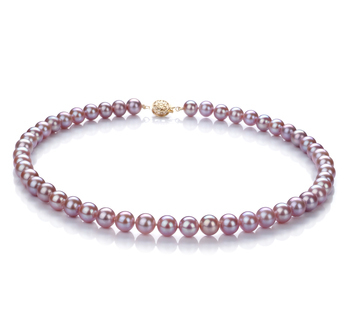 The large 8-9mm white freshwater pearls that make up this bracelet all feature an A rating for their out of round shape. 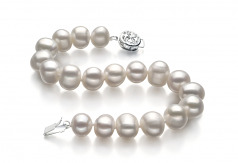 There are no two pearls on the strand that are alike, each one features a shape all of its own and competing with the other as to how unique and interesting they can be on their own. 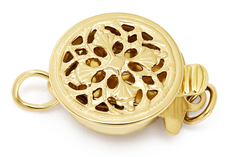 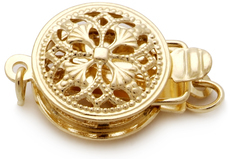 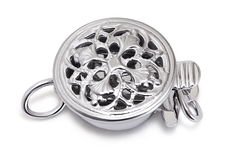 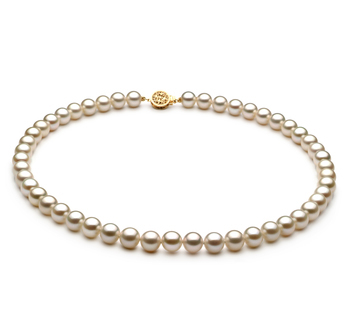 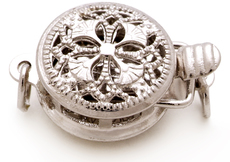 The AA luster of the pearls adds a radiant shine throughout the bracelet that livens up the overall look and appeal. 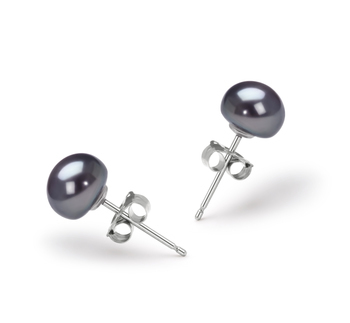 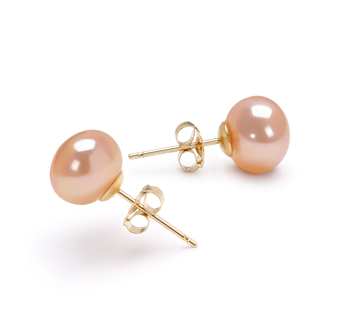 With the size, shape and sizzling attraction of the pearls, you will impress more than just a few with this elegant and classic piece.